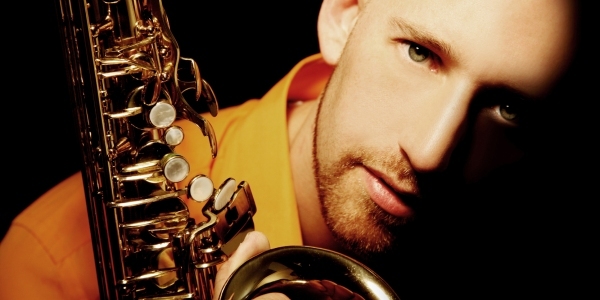 American saxophonist Patrick Jones has performed as a soloist, recitalist and chamber musician around the world. He is an active performer, educator, and clinician. Jones has appeared with internationally celebrated artists and award-winning ensembles throughout his career. As a featured soloist he has performed with the Grammy award-winning ensemble Imani Winds, Zagreb Saxophone Quartet, Erie Philharmonic, Erie Chamber Orchestra and Edinboro Chamber Ensemble. Additionally, he has been broadcast on the nationally syndicated NPR Program “Saint Paul Sunday” and Performance Today” playing with the Saint Paul Chamber Orchestra under the baton of Andreas Delfs. Jones is actively involved with commissioning and premiering new works for saxophone. He has presented a number of world premieres with orchestras and small ensembles as a soloist. A 2013 premiere was given at the International Saxophone Symposium in Washington, DC of Dreams Lost: Suite for Saxophone and Piano by composer Lee Williams. Other solo orchestral premieres with the Erie Philharmonic were given in 2010 of William Alexander’s Concerto for Flute and Saxophone and 2008 for Alexander’s Concerto for Saxophone. Other appearances include the World Saxophone Congress XII in Montreal, XIII in Minnesota and XIV in Slovenia; commissioning projects with Libby Larson and with Faye-ellen Silverman. Other performances include a presentation of the composition Deep Blue Spiral for the composer David Heuser at the SEAMUS convention for alto saxophone and tape. In addition , he premiered Borne by Constellations of Green Birds by David Heuser (Crane School of Music) at a North American Saxophone Alliance Saxophone Conference in 2007. Jones is currently an Assistant Professor of Music at Edinboro University of Pennsylvania. Other faculty appointments include University of Iowa, International Allegheny Summer Music Festival and the International Youth Music Festival.